Wrinkles are a tell-tale sign of old age, and something that every woman dreads. 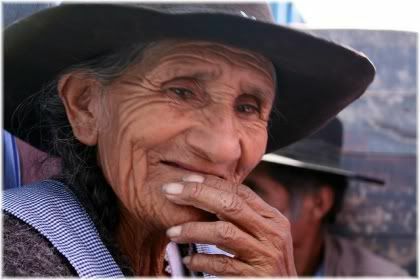 The more wrinkles that a person has, the older they begin to look and the less attractive they begin to feel. So it’s not surprising that the skin care industry has come up with many different products to help keep wrinkles at bay. As a result, you can now buy face creams, serums and even undergo a variety of surgical and non-surgical procedures to keep you looking young for as long as possible. In this article, we are going to be looking at the different types of wrinkles and the treatments available for them. We will also be looking at some prevention measures to delay the onset of premature aging. So whatever your age, and whatever the condition of your skin, you should hopefully find this guide helpful in better meeting your skin care goals. Advances in skin care science mean that you can now hold onto your looks for longer. 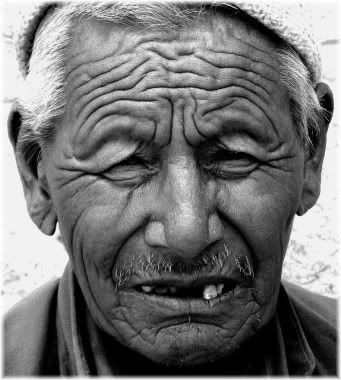 So to begin with, let’s start by defining the types of lines that can appear on the face as a person ages. This is important to know, because different types of lines have different treatment implications. Wrinkles can come in many different forms. 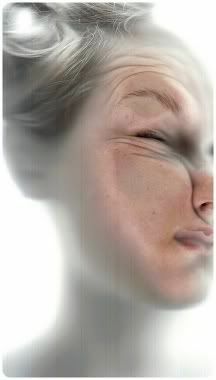 But there is a type of wrinkle that everybody has, they are called expression lines. 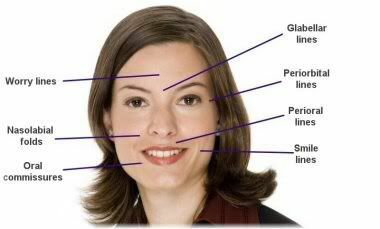 Typically, these tend to appear around the mouth and forehead areas as a result of your most frequent facial expressions. Expression lines, however, are not really true wrinkles, because everyone has them and they do not occur as a result of the aging process. Although expression lines are not caused by age, the aging process can result in them becoming more noticeable over time. If you want to minimize the appearance of expression lines, you need to avoid contorting your face when you feel a certain way. This, however, can be hard to do, as people often form facial expressions through habit and without realizing what they are doing. For example, smiling, frowning or squinting your eyes can all cause expression lines to appear on the face, and the more often you do such facial contortions, the more pronounced or deeper those lines will become. Furthermore, expression lines can also lead to fine lines and wrinkles developing later in life, so you may want to pay attention to how you contort your face. A good way to do this, is to ask someone if they notice any expression lines on your face when you talk to them. Alternatively, try looking in the mirror and see how your skin reacts when you display different types of emotions. Most people don’t notice their expression lines until someone else notices them. Interestingly, expression lines can give you a clue as to the type of character that a person has. 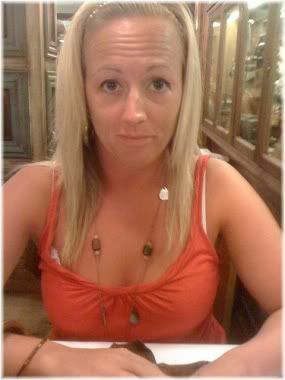 For example, a person who worries a lot is likely to have worry lines on their brow or forehead. Whereas, a person who laughs a lot, will tend to have smile lines along either side of their mouth, and will probably also develop Crow’s feet on the outside corners of their eyes when they get older. 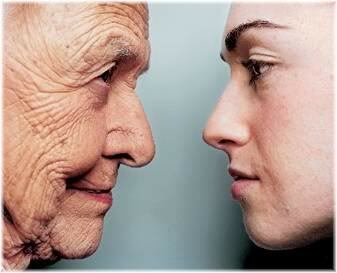 Fine lines/creases are the first type of proper wrinkle that appears on the face as a result of the aging process. Fine lines are like mini wrinkles. They are very thin, but not very deep. They can however, progress to larger and deeper wrinkles later on. Fine lines are most likely to appear around the eye area. Fine lines occur naturally as a result of aging, but they can also occur prematurely due to having dry skin, smoking cigarettes, not eating enough fat, not getting enough protein in your diet and not getting enough vitamin C.
Fortunately, fine lines are the easiest type of wrinkle to prevent providing you have a good skin care routine and look after your skin and body well. They can also be treated quite successfully with some skin care products such as topical vitamin C, or via mechanical means such as with a dermaroller or with microdermabrasion. Wrinkles are a mature version of fine lines that have become wider, deeper and more noticeable with age. Wrinkles make the skin look old, and most people will start to notice some type of wrinkling by the time they reach their 30s. 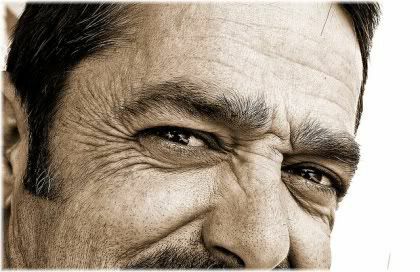 Men, however, generally tend to develop wrinkles much later in life than women due to having naturally thicker skin and more collagen. Although men have more collagen and elastin in their skin than women, they are not immune to wrinkles. Although wrinkles occur as a result of the normal aging process due to declining levels of collagen, elastin and hyaluronic acid, how soon wrinkles appear will largely depend on how well you look after your skin and also on how much unprotected sun exposed you get. Once you start to get wrinkles, your skin also starts to sag. Especially in the cheek, jowl and neck areas. This can then cause further wrinkles to develop as a result of the sagging or lax skin. With advancing age the loss of elastin causes the skin to sag and droop downwards. The formation of wrinkles can be greatly delayed by using skin care products. But once wrinkles have formed, they are a lot harder to get rid of. As a result, you may require a cosmetic procedure such a dermabrasion, the use of substances such as Botox or dermal fillers, and/or full plastic surgery in the form of a face lift to make your wrinkles less noticeable. Almost everyone will get wrinkles at some point in their life, the question is, how soon will you get them and how many you will get? 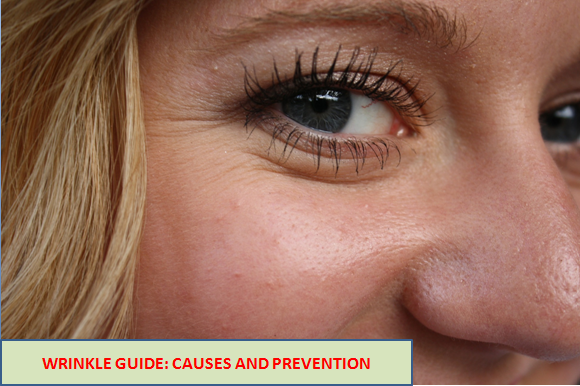 Below you will find listed some of the most common risk factors that can result in premature wrinkling of the skin. The more of these risk factors you can avoid, and the sooner you avoid them, the better your skin will look later in life. Typically, you will see the effects of how you treat your skin in about 10 years time. For example, how you treat your skin in your 20s will start to show in your 30s. How you treat your skin in your 30s will start to show in your 40s, and so on. Look after your skin and it will continue to look good for many more years to come. This is by far the most important preventative measure that you can take to prevent the onset of premature aging. A good skin care routine should include cleansing and moisturizing with an occasional exfoliation of the skin 1-3 times a week depending on your skin type. Many skincare products now contain anti-aging ingredients, and so if you are not using these on your skin, then your skin is likely to age faster than someone who does use them. Your job can influence the health of your skin and how it looks and feels. For example, if you spend the majority of the day outside in the wind, cold or sun, then your skin is likely to age more quickly than someone whose skin is not exposed to such factors. However, just because you may be sitting in doors all day doesn’t necessarily mean that your skin is fully protected. Sun exposure through windows for example, can also age the skin in a similar manner to how it ages your skin when you are outdoors. This man is a truck driver. 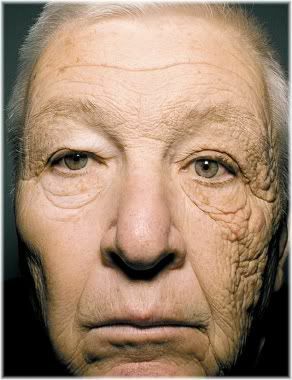 The picture shows how sunlight coming in through the driver side window has aged his skin. The same effect can occur when you are driving, or when the sun is shining on your skin through any glass. In fact, studies have found that people who drive regularly tend to age faster on the side of their face by the driver door window. This is because although windows filter out UVB radiation, they do not filter out UVA radiation. This type of radiation has been shown to deplete vitamin D levels, promote the onset of skin cancer and increase oxidative stress which then leads to photo aging (sun aging) of the skin. Genetics play a significant role in how your skin looks and how many wrinkles you develop. A good way to determine what type of “skin genes” you have is to look at your parents. Your parents can give you a good indication of how you will age. 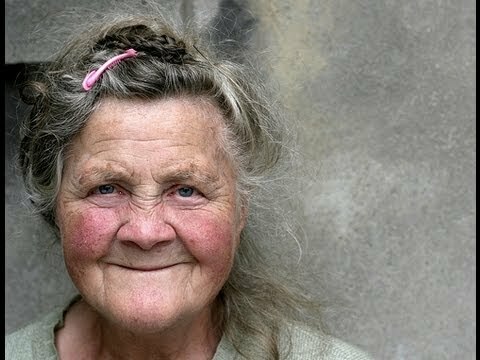 If they look old for their age, then you may be more prone to premature aging than other people. But don’t despair, because their lifestyle also contributed to the appearance of their skin. So it’s important to remember that genetics are not the only factor that determines how your skin ends up. 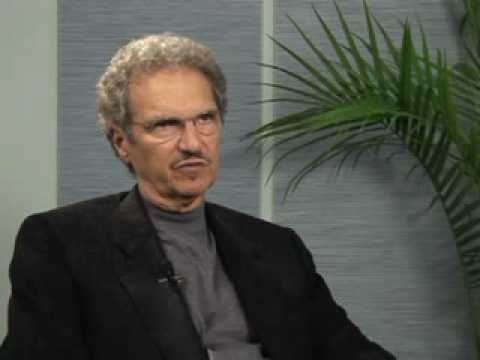 Your genetics can also determine when you are likely to show signs of aging. Some people, for example, can start to develop wrinkles and sagging skin in their 20s, while others may not show any signs of aging until they reach their 50s. So we each have to live with what we are born with, and fortunately, there are now many products that can help us to effectively do this. The video above shows a news report talking about how drinking bottled water can cause lines and wrinkles around the lips (smokers lips). Women who wear foundation tend to be less susceptible to the aging effects of pollution. 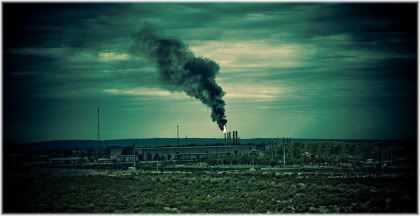 Pollution comes from your surrounding environment, and it can be very hard to avoid if you live in a busy city. Pollution generates free radicals on the surface of the skin, and also free radicals inside the body when you breathe it in. So the more pollution you are exposed to, the faster your skin will age. Another thing which can influence how many wrinkles you get, is your skin type. If you have an oily or acne skin type for example, then your skin is likely to age slower and develop wrinkles later because it is naturally moisturized by sebum or oil. Some skin types can take more abuse than others. On the other hand, if you have dry or sensitive skin, then your skin is likely to age more quickly and develop wrinkles sooner because dry skin tends to crease and crack very easily which makes it very susceptible to the development of premature lines. Of course, if you keep your skin well moisturized throughout the day, then there is no reason why anyone with a sensitive or dry skin type should expect to age prematurely. The type of lifestyle you live affects the activity and expression of genes that affect the rate at which you age. In terms of lifestyle, perhaps the two biggest factors that lead to premature skin aging are smoking and unprotected sun exposure. Both of these can deplete collagen and elastin levels which then leads to fine lines, wrinkles and sagging skin. In addition, smoking cigarettes can cause a dull looking complexion as a result of reduced blood flow to the skin, and sunlight can cause the appearance of hyperpigmented skin (brown spots/age spots). 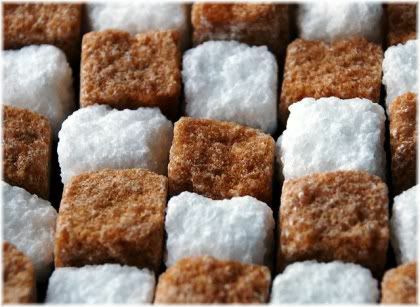 Sugar causes inflammation in the body which is known to speed up the rate at which a person ages. Sugar can also decrease the effectiveness of your immune system, cause you to put on excess weight and increase your susceptibility to disease. 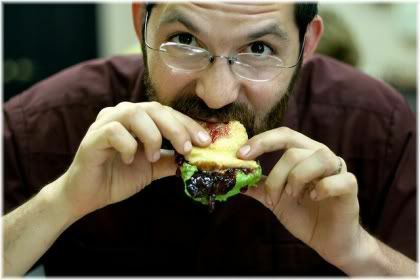 Eating high glycemic foods accelerates the aging process and makes you more vulnerable to suffering from disease. The more sugar you consume, the sooner you will start to look old. This includes what you would normally think of as sugar (i.e., white sugar) in addition to simple carbohydrates such as white flour products. Another dietary factor that can lead to premature aging, is not eating enough animal fat. People who go on low-fat diets for example, or who turn vegan or vegetarian, tend to be much more at risk of developing fine lines and wrinkles than those who consume sufficient amounts of animal fat, or, as an alternative, coconut oil. Just like how sugar can create inflammation in the body, speed up aging and increase your susceptibility to disease, so too can stress. People who live highly stressed lives age faster than those who don’t. People who live a very stressful lifestyle tend to age faster than people who live less stressful lifestyles. Furthermore, certain types of people who are very prone to stress (e.g., Type A personalities) also tend to die sooner. Note: If you are stressed, be sure to take brewer’s yeast on a daily basis to replenish your vitamin B levels. There are many different products on the market which promise to reduce the appearance of wrinkles or prevent them from occurring in the first place. However, whilst there certainly are products that are effective at combating wrinkles, there are also many other products that aren’t. Anti-aging creams can contain many different ingredients, not all of which have been proven to be effective. Below we look at some well-known ingredients that have been proven to have anti-aging benefits. Although there may be many other ingredients which manufacturers claim to be beneficial for wrinkles, often these are new and not tested on enough people to judge how useful they actually are. So if you are shopping for anti-wrinkle creams or lotions, it’s usually best to stick with the known and effective treatments that have been proven to be successful and which many people have already benefited from. This way, you will get something that actually works and avoid wasting your money by needlessly buying junk. Vitamin A (retinyl palmate, retinol, Retin-A) is one of the most commonly used anti-wrinkle ingredients. It can come in a wide variety of forms, although all are vitamin A or derivates of it. Vitamin A plays an important role in maintaining healthy skin. Vitamin A can help to promote skin cell renewal, increase skin turnover and stimulate collagen synthesis. This makes it particularly beneficial for treating fine lines. 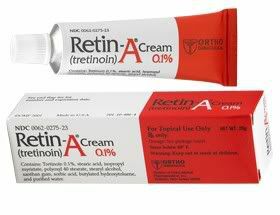 For deeper wrinkles, stronger forms of vitamin A, such as Retin-A, can be used to treat moderately deep wrinkles. One thing that you should bear in mind when using vitamin A products however, especially the stronger forms like Retin-A, is that they can enhance the skin’s sensitivity to the sun thereby making it more vulnerable to being burned and aged prematurely. Stronger forms of vitamin A, such as Retin A, can increase the skin’s sensitivity to sunlight and so should always be used alongside a good sunscreen. So most dermatologists recommend that if you are using strong forms of vitamin A, that you also protect treated areas of skin with sunscreen when you go outside. For regular forms of vitamin A (e.g., retinyl palmate) you shouldn’t require sunscreen. 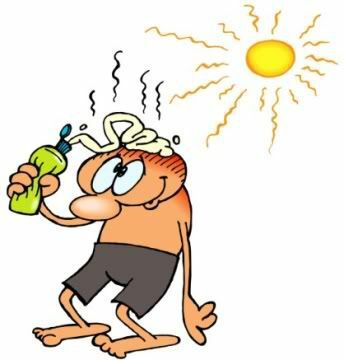 But do still pay attention to how your skin reacts in the sun, such as whether it seems to burn more easily. 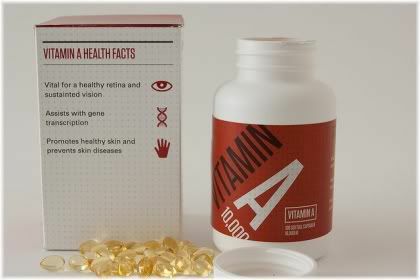 Another point worth mentioning about vitamin A, is that it can leave your skin looking red after you have treated it. This redness will go down in a few hours or overnight, but until it does, you may not want to leave the house unless you are wearing makeup. Alpha hydroxy acids (citric, glycolic, lactic & tartaric acids) and beta hydroxy acids (salicylic acid), are weak acids that dissolve dead skin cells from the surface layers of the epidermis and promote new skin cell growth underneath. They are usually found in cleansing and acne products, although they can also be found in lotions and skin creams. Chemical exfoliants remove the upper most layers of skin to reveal younger and fresher looking skin underneath. Hydroxy acids are more of a preventative treatment, but in some cases, they can also prove to be effective on immature fine lines. To treat deeper fine lines and wrinkles, you will get more benefit from having a chemical peel instead such as with a Jessner’s Peel, Trichloroacetic Acid (TCA) peel or a Croton Oil/Phenol peel. These are basically a much stronger and deeper acting treatment than that offered by the hydroxy acids, and although they can produce excellent results, they could leave your face looking very red for a period of up to 14 days. 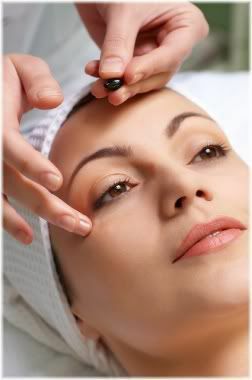 Topical vitamin C is perhaps one of the most promising anti-wrinkle treatments available on the market today. And the good news is that there is actually quite a lot of scientific evidence to back up the claims of its effectiveness. Scientific studies have shown that topically applied vitamin C can noticeable reduce the signs of facial aging. Vitamin C works to protect the skin on many levels. The first is that it acts as an antioxidant by protecting the skin from free radical damage that can cause premature aging of the skin. Vitamin C also works as a sunscreen, and so it protects your skin from the harmful effects of the sun. But this is only true is you apply your serum at night. If you apply it during the day, you can actually increase the rate at which the sun ages your skin. Underneath the skin, vitamin C helps to increase collagen production. The effect of this is to delay the appearance of wrinkles and reduce the appearance of existing wrinkles. However, it is important to note that in order to get such skin benefits, vitamin C must be applied topically either in a cream or in a lotion. Ingesting vitamin C does have some skin benefits, but these are not the sort of benefits that you are going to notice in terms of making an improvement in the way that your skin looks. Furthermore, some forms of vitamin C are better than others. In cheap face creams that contain vitamin C, you will often find vitamin C as L-ascorbic acid. Similar to what you would buy in vitamin C supplements. Cheap face creams usually contain the same kind of vitamin C that you would find in supplements. This makes them very susceptible to oxidation. The trouble with this form of vitamin C is that it is not very stable because it is prone to oxidation when exposed to light or air. 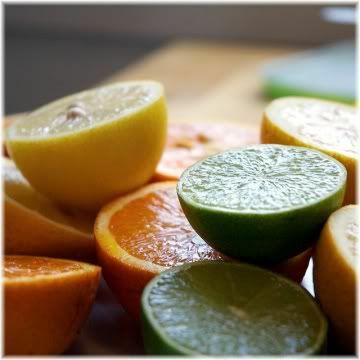 If you put oxidized vitamin C on your skin, you will increase free radical production and accelerate skin aging. A far better and much more stable form of vitamin C, is tetrahexyldecyl ascorbate. This is found in the higher end products (e.g., Medik8 C Tetra & CE Tetra), but it is something that is definitely worth investing in if you have the money for it. Note: When using an ascorbic acid based vitamin C cream, it should contain no less than a 10% concentration of vitamin C. When using other forms of vitamin C, such as tetrahexyldecyl ascorbate, a 3-7% concentration is needed. Vitamin E (tocopherol acetate) has similar effects to vitamin C in terms of it acting as an antioxidant, and the two vitamins work synergistically together as a preventative measure. 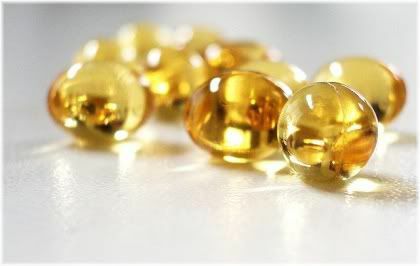 Importantly, vitamin E is incorporated into cell membranes which then increases the effectiveness of that membrane from protecting the internal contents of its cell. Vitamin E protects cell membranes from free radical damage by acting as an antioxidant. Vitamin E is often found in sunscreens due to its anti-inflammatory properties, but some studies have shown that vitamin E can increase the risk of scar formation during wound healing. This is despite the commonly held belief that vitamin E is good for preventing scars. Vitamin E is also protective when taken internally as a supplement, so if your face cream doesn’t contain vitamin E then using a natural mixed tocopherol vitamin E supplement can be just as effective. Many face creams contain hyaluronic acid due to its ability to absorb water and expand which then makes the skin look plump and full. Hyaluronic acid creams, however, are largely worthless because the hyaluronic acid molecule is too large to pass through the skin. As a result, you don’t actually get any benefit from applying hyaluronic acid topically. 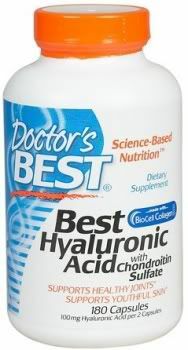 A far better way to use hyaluronic acid is to take it internally. 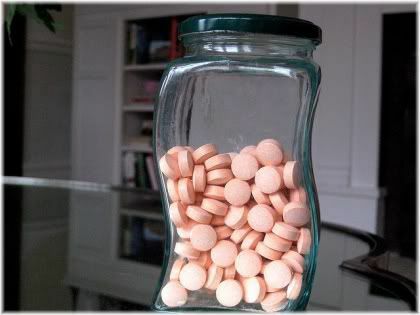 The easiest way to do this is to buy hyaluronic acid supplements and take 100 mg per day. Foods, such as sweet potatoes, can also be eaten to promote the production of hyaluronic acid in the body. 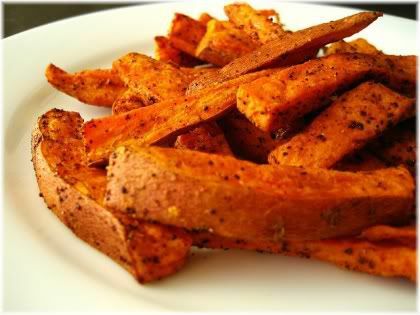 Eating foods such as sweet potatoes can stimulate the production of hyaluronic acid in the body. 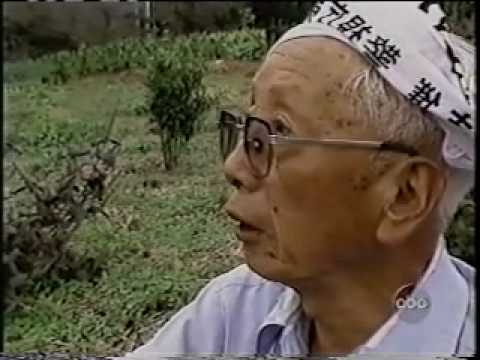 If want something to use on your face, look for a product that contains Phytessence Wakame seaweed (sometimes listed as Undaria Pinnatifida, Wakame Kelp, Japanese brown sea kelp extract, Fucodian or Fucoxanthin) as this Japanese sea weed inhibits hyaluronidase, the enzyme which degrades hyaluronic acid. For very deep wrinkles, hyaluronic acid can also be used as an effective facial filler (e.g., Juvederm) by injecting it under the skin. 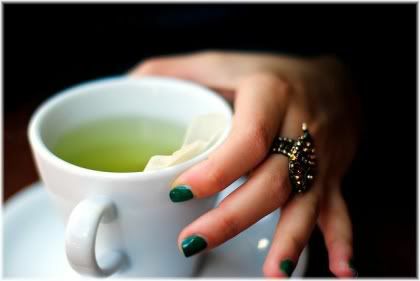 Green tea is a powerful antioxidant that provides benefit to the skin when applied topically or ingested internally. Green tea, which contains polyphenols, is a very promising natural anti-aging ingredient upon which a lot of scientific evidence has begun to build. It acts as an antioxidant, anti-inflammatory and seems to be particularly effective at preventing photoaging of the skin (i.e., aging due to ultraviolet light (UV) exposure). Studies have shown soy isoflavones to be effective at reducing the appearance of fine lines. 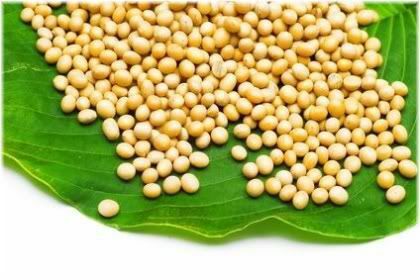 Soy isoflavones are phytoestrogens, which means that they mimic the effects of estrogen. Soy isoflavones, when used internally or externally, have been shown to reduce the appearance of fine lines and make the skin feel smoother. Collagen is one of the structural components of your skin. Collagen levels naturally decline with age, and with that decline can come wrinkled and sagging skin. Increasing the skin’s level of collagen can therefore help to restore a youthful looking appearance to the face and delay the onset of many of the visible signs of aging. As collagen becomes depleted with age wrinkles start to show on the skin. The trouble is though, that like hyaluronic acid, the collagen molecule is too large to pass through the skin. So despite collagen being added to many expensive face creams, it serves more of a marketing or selling role rather than offering any real anti-aging benefits. As a result, buying face creams just because they have collagen in them is largely a waste of your money. 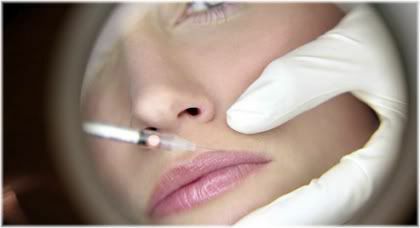 Where collagen can be useful, however, is when it is injected underneath the skin in the form of a dermal filler. In this case, collagen can be useful in helping to plump up even quite deep wrinkles. But since the injected collagen will eventually be broken down by the body, the results won’t be permanent and so you will require continual treatments if you want to maintain your results. Collagen injections can be used to make the lips look fuller. Collagen can also be taken via supplements in the form of hydrolyzed collagen, but there are mixed reports about how effective the ingestion of collagen supplements really is. Alternatively, bone broth soup made from chicken or beef bones can be used as a rich natural source of collagen in addition to hyaluronic acid, chondroitin sulphate/sulfate and a broad spectrum of minerals. 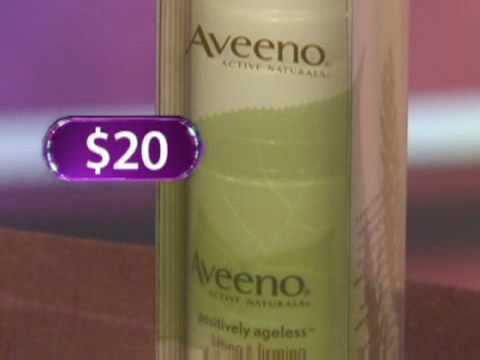 Many people look for the perfect moisturizer based on what they see on TV, in magazines or what their friends use. But the truth is, there is no such thing as the “perfect moisturizer” that will work wonders for everyone, because we all have a slightly different type of skin and so different moisturizers will work differently for different people. 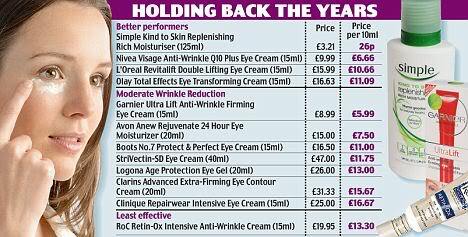 You don’t have to spend lots of money to get a good face cream, as some of the cheaper products can be just as good if not better. As a result, a good facial moisturizer is one that works in harmony with your skin. One that will keep it moist, dewy and protected throughout the day. When you have used the right moisturizer, your skin will feel hydrated and not tight or dry. 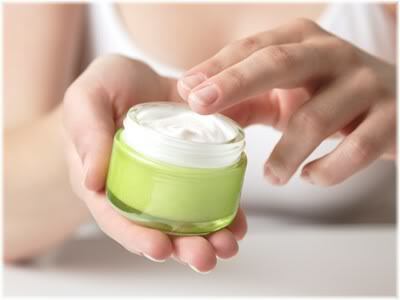 A bad face cream is one that contains ingredients which don’t work in harmony with your skin. 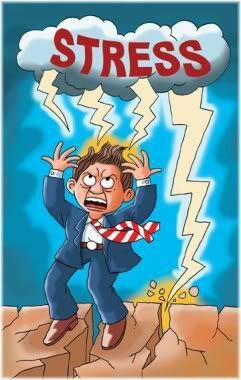 The effects of this disharmony can cause your skin to become inflamed, develop a rash, become irritated or appear red. All of these are signs that you are using a moisturizer which doesn’t agree with your skin type. A good moisturizer will make your skin feel good when you use it. You may, however, get none of these symptoms. But instead your face will just look or feel wrong. For example, if you have oily skin and use a dry skin moisturizer, then your face is likely to appear very oily and greasy. Or, if you use a sensitive skin moisturizer on dry skin, then your face will not be hydrated enough and is likely to dry out and crack throughout the day. Choose a face cream that meets your specific needs and requirements. Generally speaking, there are three main types of skin moisturizers: lightweight lotions, heavy moisturizers and cosmeceutical creams. Lightweight lotions are designed to be worn during the day, and usually contain humectants such as hyaluronic acid, glycerin, urea or sorbitol to help lock moisture into the skin. Lightweight lotions are ideal because they are easy to apply and are quickly absorbed into the skin. This makes them perfect for daytime use. A heavy moisturizer usually contains ingredients such as petrolatum, mineral oil, shea butter or cetyl alcohol to soften the skin and form a protective layer over it. 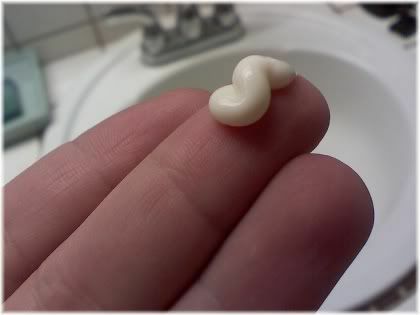 Heavy moisturizers are usually used at night, such as night creams. These are generally very thick and are slow to be absorbed into the skin. They also tend to be quite greasy, so they are best applied the hour before you go to bed. You can get away with using a thicker moisturizer at night as you won’t have to worry about your face looking greasy. Heavy face creams may be required for people with a very dry skin type, as this type of skin requires lots of moisturizing. They may also be required if you live in very cold areas or by the coast. Cosmeceutical face creams can contain vitamins, minerals and antioxidants. They are designed to hydrate your skin, give it some protection and enhance it in some way. For example, some face creams will come with co-enzyme Q10 or DMAE to reduce the appearance of fine lines, wrinkles and firm up your skin. Can Your Diet Help to Prevent Wrinkles? The most successful approach to tackling a problem is to approach it from multiple angles, and when it comes to delaying the appearance of wrinkles or preventing them from occurring in the first place, this is indeed the best strategy to adopt. The food you eat determines the health and appearance of your skin. The reason for this is simple. The health of your skin can not only be affected by what you put on it, but also by what you put in your body. As a result, the types of food you eat and your overall general diet, can play a big role in determining how healthy your skin will look both now and in the future. So just how does diet affect your skin? Keep on reading to find out! It can be difficult to get the amount of vitamin C you need from food alone, so you might want to consider taking supplements. Vitamin C is essential for the production of collagen, without which, the underlying supportive structure of your skin will begin to fall apart. The result? Wrinkles and sagging skin! Vitamin C can be found in most fruits such as oranges, lemons and berries, although it can also be found in vegetables such as broccoli, kale and collard greens. 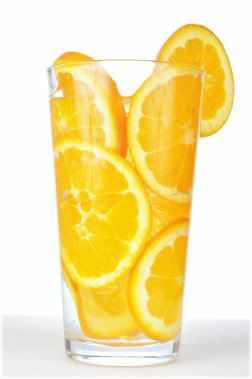 Try to get some amount of vitamin C into your diet every day. If you can’t manage to do so via food, use a supplement instead. 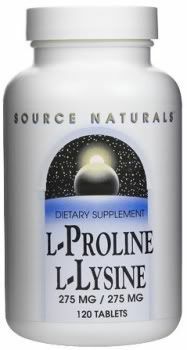 Lysine, proline and vitamin C is one of the most powerful anti-aging combinations you can take. In addition to vitamin C, it is also important to eat foods containing the amino acids lysine and proline, because these, along with vitamin C, are what the body uses to make collagen. Lysine and proline can be found in meat and grains, but the best way to ensure that you are getting adequate amounts is through supplementation. 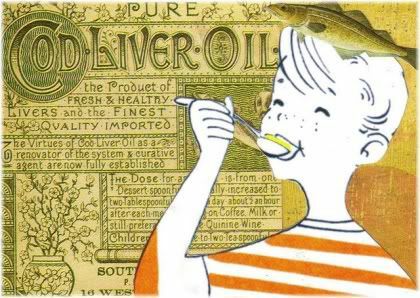 Cod liver oil is a simple and effective way of ensuring that you get enough vitamin A each day. Another vitamin which is essential to include in your diet is vitamin A. This vitamin helps to keep your skin moist, and plays an important role in maintaining the health of your mucous membranes which in turn helps to make you more resistant to infections. Good sources of vitamin A are organ meats such as liver, fish such as sardines or oils such as cod liver oil. You can also get vitamin A precursors (e.g., beta carotene) from vegetables such as carrots, but not everyone is able to benefit from this particular type of vitamin A. So if you can, try to get your vitamin A from meat, fish and eggs. Fat is essential for the proper functioning of the body. 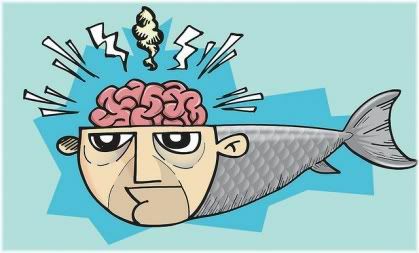 The brain for example, is largely made up of fat, and when a person doesn’t get enough fat in their diet, such as because they are on a low-fat diet, they stand an elevated risk of suffering from depression. People who don’t consume enough fat are much more susceptible to premature aging of the skin. Fat is also important for maintaining skin, and without adequate amounts of fat your skin will be much more prone to drying out, cracking and wrinkling. One of the reasons why fats are important for your skin, is because the fats that you eat are incorporated into the outside coating of a cell, the cell membrane. Since cell membranes protect cells from damage, such as free radical induced damaged, you want this protective layer to be as strong as possible. Certain fats, such as coconut oil or butter, are predominantly made up of saturated fats which makes them highly stable and heat-resistant. When saturated fats are incorporated into the membranes of your cells, they form a very strong protective layer around a cell because they are also very resistant to free radical damage. 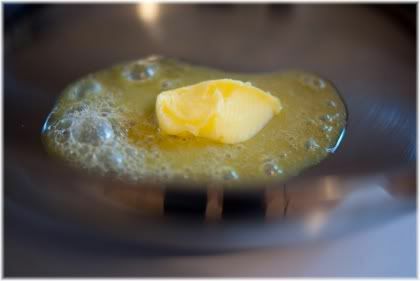 Polyunsaturated fats however, such as sunflower oil or canola oil, are very unstable and heat liable. As a result, they tend to go off quickly, especially when they are exposed to heat, light or air. When these fats are incorporated into your cell membranes, they are much less protective against free radical damage thereby making you more vulnerable to disease and premature aging. 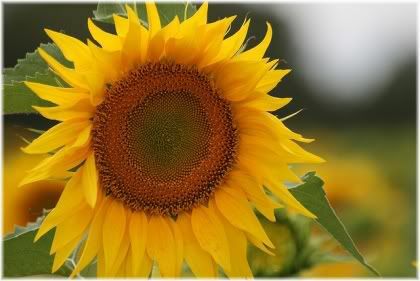 Polyunsaturated fats, such as sunflower oil, oxidize very easily and so provide little protection to your cells. So although saturated fats have gained a very bad reputation due to their association with heart disease, it is important not to avoid saturated fats entirely because they are the best type of fat to consume if you want to remain looking young and youthful for as long as possible. In terms of what is best for your skin: saturated fat, then monounsaturated fat (e.g., olive oil) and then polyunsaturated fat. Another hugely significant factor in determining the health of your skin, is the glycemic index and glycemic load of the foods you eat. Without going into too much detail, these terms describe what type of insulin reaction your body produces to control blood sugar levels after eating a food. 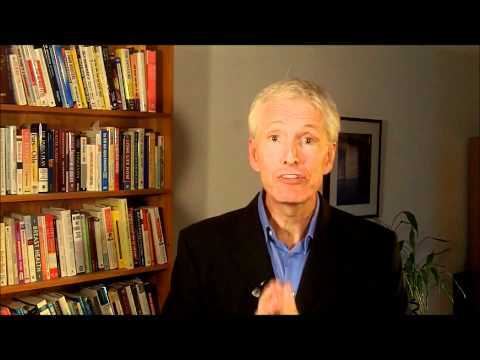 Sugar accelerates the aging process and makes you more susceptible to disease. Why this is important is because high glycemic foods, such as sugar, white flour, refined carbohydrates or basically any type of junk food, cause a huge insulin spike in the body which subsequently causes inflammation. This in turn can have a negative effect on your health such as by increasing your risk of diabetes, obesity and accelerating the rate at which you age. 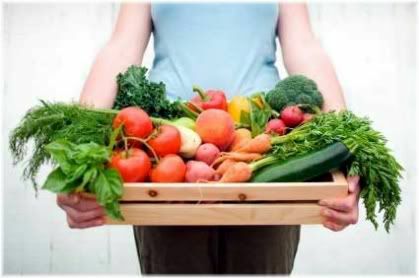 Ideally, you want to avoid high glycemic foods as much as possible and limit yourself to eating only low carbohydrate foods such as green vegetables in addition to adequate amounts of fat and meat. If you do consume sugar regularly, even natural sugars such as from fruits or fruit juices, then you may want to consider taking curcumin (Turmeric) supplements as this Indian spice has excellent anti-inflammatory properties. The body is largely made up of water, and when the body starts to become dehydrated, it conserves water so that your essential organs can still function. 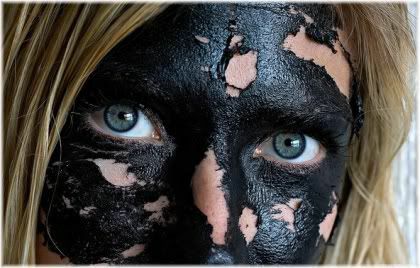 This, however, comes at the expense of your skin, because keeping your skin moist is not immediately vital to survival. People who keep their skin hydrated throughout the day tend to be less susceptible to developing wrinkles. One of the most obvious effects of dehydration are dry, flaky and cracked lips. When this happens to the skin on your face, you put yourself at a much greater risk of developing fine lines and wrinkles prematurely. Fortunately, premature wrinkles due to dehydration are relatively easy to control and prevent. All you have to do is make sure that you drink enough water throughout the day and avoid drinking too many beverages that dehydrate you (i.e., diuretics). Studies have shown that people who drink plenty of water throughout the day tend to develop less wrinkles than those who don’t. So make sure that you don’t miss out on this simple and natural way to keep your skin looking at its best. Hyaluronic acid is one of the best things that you can take for your skin. 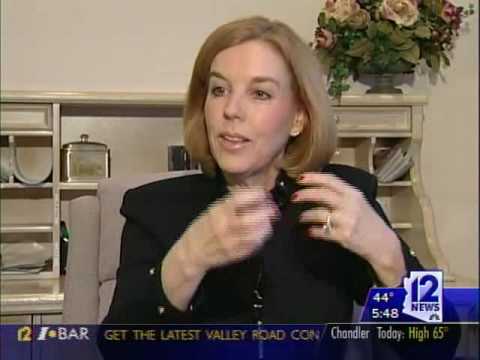 We have already discussed hyaluronic acid previously in this article, but because it seems to be so important for maintaining youthful and wrinkle free skin, we will briefly mention it again here. The best way to naturally increase hyaluronic acid levels in the body is by eating sweet potatoes or by consuming a cartilage rich bone broth soup. Omega fatty acids, such as omega 3 and omega 6, are classed as essential fatty acids. This means that the body cannot naturally produce these fats, and so you must acquire them from your diet. Because they are essential, omega 3 fatty acids need to be consumed on a regular basis to ensure that the body and brain remain healthy. What we are really interested in is omega 3, because this seems to be very beneficial for promoting moist and smooth skin. Most people do not get enough omega 3, and tend to have too much omega 6 which is known to be inflammatory when consumed, especially when it has been heated. Omega 3 can be found in oily fish such as sardines, in seeds such as flax seeds and in nuts such as walnut in significant amounts. Be careful though of eating foods which are advertised as being “enriched” with omega 3, because omega 3, being a polyunsaturated fatty acid, is not very stable when exposed to heat, light or air. 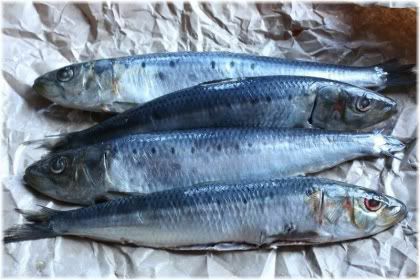 Sardines are a tasty and inexpensive source of omega 3. As a result, a lot of foods which have omega 3 added to them contain rancid omega 3, which is obviously not what you want to be consuming. This also seems to be a problem with some fish oil supplements. So far, the best source of omega 3 that I have discovered is a supplement called Vectomega. Finally, you do not want to consume too much omega 3, because this fat can suppress the immune system and make you more vulnerable to disease. Now that you have seen how important your diet is for maintaining healthy skin, below we look at some of the best ways that you can prevent or delay the appearance of wrinkles. 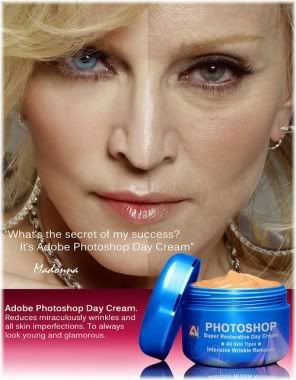 Be careful of using products endorsed by celebrities as you never know what other “treatments” they have had done. Keeping your face moist is absolutely essential when it comes to delaying the signs of facial aging. 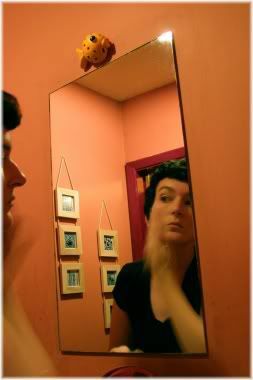 However, there are now many moisturizers on the market that also contain anti-aging ingredients such as co-enzyme Q10, retinol, green tea, vitamin E and vitamin C.
Since you will be moisturizing your face on a daily basis anyway, it makes sense to choose a product containing one or more of these ingredients. This way, you will be keeping your skin moist, whilst also protecting it from free radical damage that can produce the visible signs of aging. If you don’t like the idea of using man-made products, or you simply find them too expensive, a great natural alternative is to use oils such as coconut oil or emu oil. Coconut oil, for example, is very rich in saturated fat and provides your skin with excellent protection against aging due to its highly stable nature. 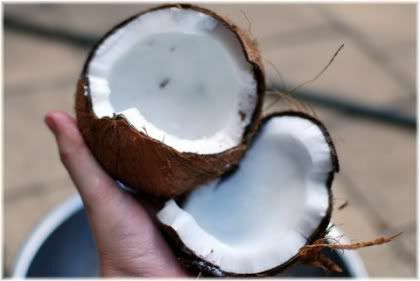 The high saturated fat content of coconut oil makes it an extremely powerful anti-aging moisturizer. Emu oil can be absorbed very deeply into the skin which makes it extremely moisturizing. It also has anti-inflammatory properties which can help to slow down the aging process and it also stimulates collagen production. You should however, try to avoid using polyunsaturated oils, because as we talked about earlier, these oils tend to be quite unstable and so could actually end up accelerating the aging process. Moderate exercise is very beneficial for the skin because it improves blood flow around the body. Blood is what carries oxygen and nutrients to your cells, so the better your blood circulation is the healthier your skin will become. Exercise improves the radiance and complexion of your skin due to its beneficial effects on blood circulation. Poor blood circulation, such as that caused by a lack of exercise or by smoking, can lead to a dull looking complexion, inflammation as a result of cellular waste accumulation and eventually, sagging skin and wrinkles. Even if you don’t join a gym, just walking for a few hours spread across the course of a week can be very beneficial to your skin and overall level of health. So try to do some form of physical activity whenever you have the opportunity to do so. People who do face exercises usually notice an improvement in the way they look within a few months. Face exercise, also called face yoga or facial exercise, is a type of exercise that increases the strength of the facial muscles whilst also stimulating collagen and elastin production. 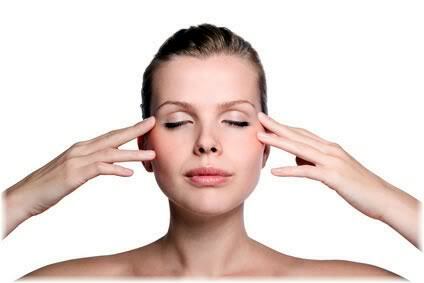 Face exercises can be done with your hands or with special equipment to make the muscles of the face stronger. You can find out more information about how to do face exercises here. I have one these. It’s really not that bad once you get used to it. 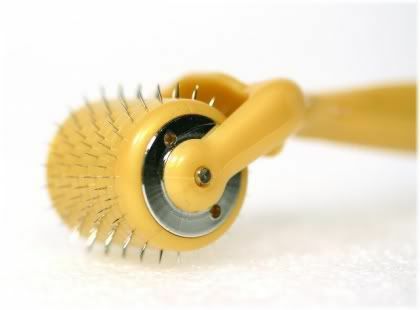 A dermaroller, also called a skin needling roller or a collagen induction system, is a small cosmetic device that contains very fine needles on a roller. 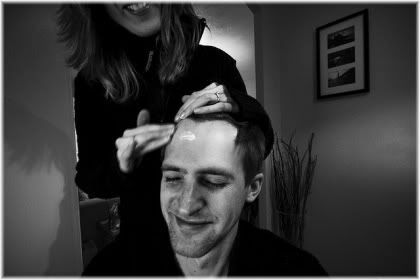 It can be done at home by yourself, or professionally in a clinic or beauty salon by a dermatologist or plastic surgeon. When the dermaroller is applied to the skin, it makes tiny puncture holes that stretch through the epidermal layers, and sometimes, into the uppermost dermis layer. The effect of this is to wound the skin, so that when it starts to heal itself it will also produce more collagen. Furthermore, as a result of the tiny holes created by the dermaroller, any anti-aging skin care products that you use will be better absorbed into the skin due to increased transdermal absorption. Micro needling, or skin needling, has been shown to be a very inexpensive and minimally invasive procedure that can be beneficial for treating not just fine lines and wrinkles, but also hair loss, scars, stretch marks, pigmented and sun damaged skin. Note: In order for collagen induction to occur, a dermaroller with a needle length of at least 0.5 mm is needed. Anything below this length will not provide any significant anti-aging benefits. Skin resurfacing treatments are classed as a non surgical cosmetic treatment. They work by removing the upper most layers of the skin, which then reveals new skin underneath whilst also stimulating collagen production. Skin resurfacing treatments, such as microdermabrasion in the picture above, provide a much deeper exfoliation than what you would be able to do by yourself. Skin resurfacing treatments are most effective for mature skin, although depending on the type of treatment that you undergo, they can be used for anything from very fine lines to moderately deep wrinkles. 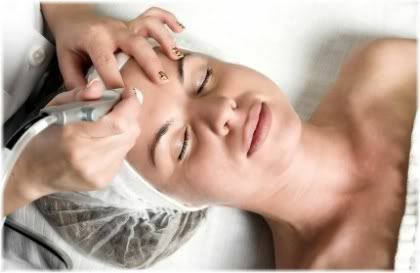 Microdermabrasion: A small device is used to blast mineral crystals at high-speed onto the surface of your skin. This is similar to having a deep exfoliation and is largely pain-free. Laser Skin Resurfacing: A more drastic treatment that uses a high-powered laser to essentially burn off the uppermost layers of your skin. It leaves your face looking very red and feeling very tender after the treatment, but it can work wonders for erasing fine lines and wrinkles. Thermage: Unlike the previous two treatments, Thermage works by heating the deeper layers of the skin to stimulate the production of connective tissue. This produces a mild skin tightening effect. Chemical Peels: Chemical peels come in a variety of strengths ranging from relatively weak, such as alpha hydroxy acid or Jessner’s peel treatments, to very strong, such as TCA peels or croton oil/phenol peels. 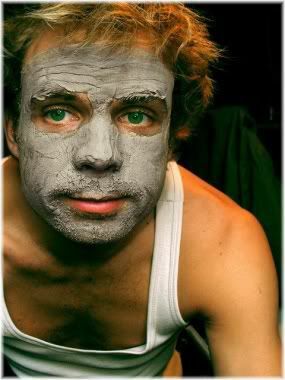 The effect is similar to mechanical exfoliation of the skin, except that chemicals are used for the exfoliation process. 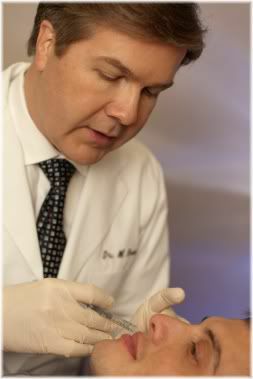 Botox is a favorite amongst celebrities due to its age-defying effects. One of the most popular cosmetic treatments amongst women, and increasingly so amongst men, Botox uses a purified protein derived from a toxin to paralyze certain muscles of the face. The result is increased skin tightness and firming, and a reduction in the visibility of fine lines and wrinkles. If Botox is administered incorrectly however, it can leave you unable to form normal facial expressions or leave you, temporarily, with an abnormal facial expression. Dermal fillers are injected underneath the skin to raise areas of depression. Dermal fillers are most suitable for deep scars and deep wrinkles, but the results they produce are not permanent and so repeated treatments are required if you wish to maintain your results. Dermal fillers provide a very effective, albeit short-lived, treatment for reversing the appearance of wrinkles and lines on the face. At present, they are probably the most effective treatment currently available for treating mature or heavily wrinkled skin. Some of the most popular dermal fillers include collagen injections, Juvederm/Restylane injections (hyaluronic acid), Sculptra injections (poly-l-lactic acid) and Radiesse/Radiance injections (calcium hydroxyapatite). A face lift involves surgically removing excess skin from the face to tighten either specific regions or the whole of the face. 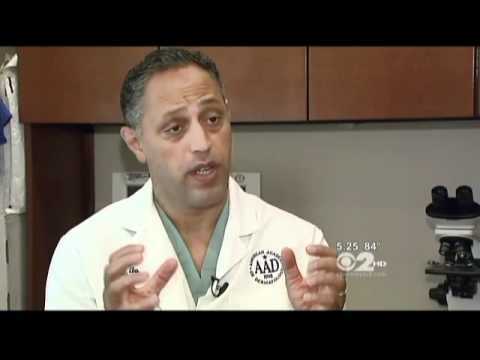 Contrary to popular belief however, a face lift is not designed to treat wrinkles. A face lift will make it less likely for you to develop wrinkles in the future, but it won’t do much for your existing wrinkles. A face lift can help to reduce the appearance of existing wrinkles, but it will not make them disappear completely. It will, however, tighten up the skin which can help to reduce the formation of new wrinkles. So it is not uncommon for people to undergo a face lift, and then later undergo a skin resurfacing treatment to more specifically target problem areas. If you aren’t getting enough sleep it will show up on your face. A lack of sleep can leave your face looking tired, puffy and create bags under the eyes. This can then lead to wrinkles around the eyes as a result of a saggy/droopy upper or lower eyelid. 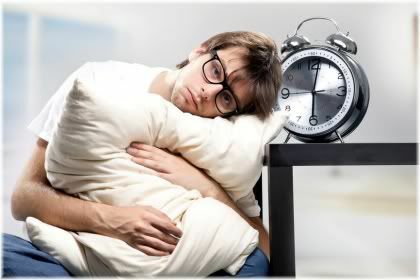 The most common cause of a lack of sleep is insomnia. You can read more about ways to combat insomnia here. Sleeping on your face can also cause wrinkles (sleep wrinkles) as a result of your skin being stretched and twisted as you sleep. One way to prevent this from occurring is to use a very soft pillow case, such as one made from silk. Alternatively, you can try sleeping on your back. 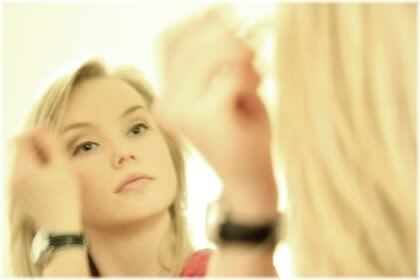 Makeup that is left on the face, especially overnight, can block pores, cause inflammation and accelerate skin aging. As a result, you should always ensure that your face has been properly cleaned before you go to bed, and never sleep with an unwashed face. Not removing makeup before bed can lead to premature aging of the skin. The same applies in the morning. The face should be washed properly and all makeup should be removed before applying anything else. For most women, the use of a cleanser on a cotton pad should be adequate for removing makeup. But if you tend to apply a lot of makeup, then you would probably benefit from using a makeup remover as a simple cleanser is unlikely to be strong enough. The sun is known to be one of the biggest, if not the biggest, causes of skin aging. Over exposure to the sun can cause the skin to develop brown spots, wrinkles and even cause it to sag. It takes about a decade before you are able to see the effects of sun damage with the naked eye. The effects of sun damage however, don’t show up until about 10 years later. As a result, it can be quite difficult when you are young to fully appreciate just how damaging the sun can be to your skin. Most people though, know that the sun is something they should be careful of if they want to maintain a youthful look for as long as possible, so fortunately, more and more people are now limiting their exposure to the sun or wearing sunscreen. Applying sunscreen should be the final step of your skin care routine, coming after cleansing, toning and then moisturizing. Sunscreen should be applied in the morning and also during the day, especially if you will be staying out in the sun for long periods of time. Close your eyes, hold your breath and don’t move! It is best to use a sunscreen with a sun protection factor (SPF) of 15 or higher, and this level of protection can usually be found in most good moisturizers or foundations. If not, you can just apply sunscreen over your regular face moisturizer. Remember to cover all exposed areas of skin, such as your hands and neck, and not just your face. Even when you won’t be outside for very long. This is because around 80% of sun exposure comes from incidental light, such as light through windows when you are working, driving your car or shopping. There are two basic kinds of sunscreens: chemical sunscreens and barrier sunscreens. Chemical sunscreens are a cheap and easy way to protect yourself from the sun. Chemical sunscreens are slowly absorbed into the skin over a period of several hours, after which, they then need to be reapplied. This is best done at the beginning of the afternoon when the sun starts to get hot. Chemical sunscreens protect your skin by allowing the sun to reach your skin, but then using chemicals to prevent penetration and sun damage. Sunblocks provide a protective barrier to stop the sun from penetrating your skin. Barrier sunscreens, also called sunblocks, usually contain either zinc oxide or titanium dioxide as their main ingredient. Sunblocks work differently to sunscreens as they sit on the surface of the skin and form a physical barrier which prevents the sun’s rays from reaching the skin. Sunblocks last longer than sunscreens because they are not absorbed into the skin. This means that under normal conditions you should only need to apply them once a day. Whilst wearing sunscreen or sunblock is important to protect your skin from sun damage and premature aging, not all skin products are created equal. Some researchers for example, have suggested that the chemicals found in sunscreens can actually cause skin cancer, and that absorbing these chemicals can also cause various health problems in the body. Staying safe in the sun means using a safe product to protect your skin with. So to stay safe, make sure that your sun skin product is labeled as paraben/PABA free, and offers you both UVA and UVB protection. 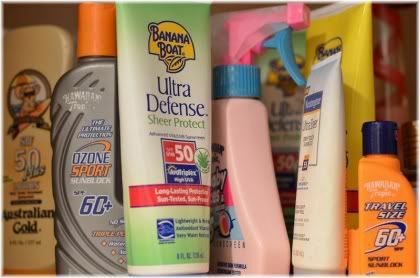 Generally speaking, barrier sunblocks are considered to be safer than sunscreens as they contain less chemicals. The only disadvantage with sunblocks, such as those which contain zinc oxide, is that they may leave a whitish residue on the face. But if this has been mixed in with foundation (mineral makeup), or a bronzer, then you won’t notice it. The sun is a very important source of vitamin D production in the body. 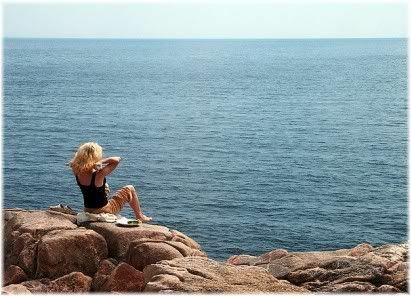 So whilst you don’t want to burn yourself in the sun, you do want to get some amount of unprotected sun exposure so that your body will be stimulated to produce vitamin D.
Vitamin D has many benefits, and some scientists believe that it could help to reduce your risk of disease and even make you live longer. • Apply 20 minutes before leaving the house and then again after every 30-60 minutes of sun exposure. • Reapply after you have been swimming or sweating and then dried yourself off with a towel. • Waterproof sunscreens should be reapplied every 80 minutes, and water-resistant sunscreens should be reapplied every 40 minutes. 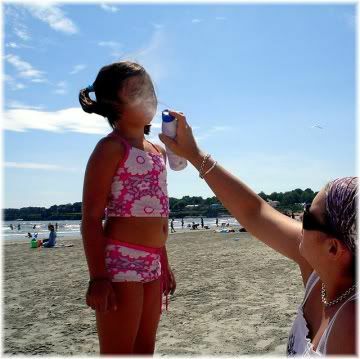 • Sun related skin cancers are common on the nose, so make sure that you apply extra protection there. • Throw away sunscreen that has passed its expiration date because it will have lost its sun protecting properties.